Second part about my experiences on the second beta weekend so far. First one is here. As mentioned on that one, pictures to come soon, hopefully! I decided to give a try to a Norn this time around after all. I was expecting a more rough people for some reason and although they are rough in a way they are also much more than that. To put it succinctly they are a mix between vikings and shamanic culture. That is, they are a proud race of warriors and hunters who also worship guardian animal spirits. Saying it like this may look like a weird mixture but it works pretty well. That also doesn't mean they are "This is serious business!" 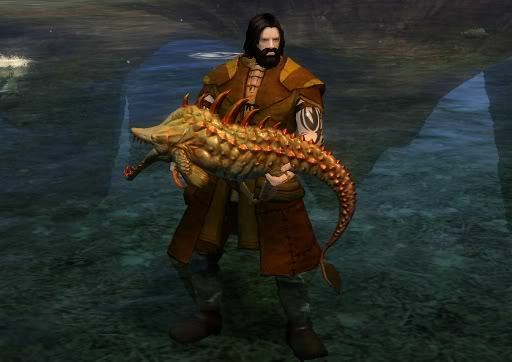 people all the time (that would be the charr by the way). They also like to drink, sing songs and tell tales. Of those three, the drink is probably what they like the most. I got the impression they would use anything as an excuse to drink more. Hard day at work? Drink to relax. Just won a hard battle against an enemy? Drink to celebrate. Having a hard time deciding on a tie? Drink to make the choice easier! As for their starting map, there is a small green area as you start out then as you get some levels and move on there is only a large, mostly untamed areas of snow. Hoelbrak their capital, so to speak, doesn't look like a city in the traditional sense but is still magnificently beautiful with big lodges dedicated to their animal spirits plus the Great Lodge where their leader resides. Talking about the ranger will be tough. Not because it is a bad class, quite far from it. It is just that it is a very flexible class and even if I dedicated entire posts about them, I still think it would be inadequate. And considering my experiences with the warrior in the previous beta weekend I think that might describe pretty much every class in the game! Other reasons for that is because it is a beta, so things will change before the game's release, and because there are better people at dissecting classes than me. Some of which are in the blog roll to the right. Ok. So I was talking about the class flexibility. So let's get to that. Rangers flexibility are spread among three different areas: weapons, pets and utility skills. Probably traits too however I didn't get to test that part out. Let's start with weapons. Rangers can use swords (main hand only), axes (main hand or off hand), two-handed swords, long bow, short bow, dagger (off-hand only), torch and horn. The sword is probably the weirdest of them all. The first skill is ye old stab the enemy until it dies. But the second skill is one where you dodge back from the enemy and then you get a few seconds to use that skill again to jump back at the enemy. The second one you do a sort of dodge roll at the enemy ending with a strike that poisons them. In PvE I didn't find it particularly powerful but might be interesting in PvP to keep opponents on their toes. Daggers also have a skill to poison the enemy and another that you can throw it at them to cripple and bleed them. The two-handed swords are probably the best weapons for the rangers who prefer to get close to their enemies though. It has some very powerful attacks with a couple skills that also have debilitation effects. Another nifty thing about the two-handed sword is that even the auto-attacks hit all enemies in front of you. Axes are used as thrown weapons. They have a couple of AoE skills and another couple of debilitating ones. One cool skill with the axe off-hand is to use it to block arrows from enemies. 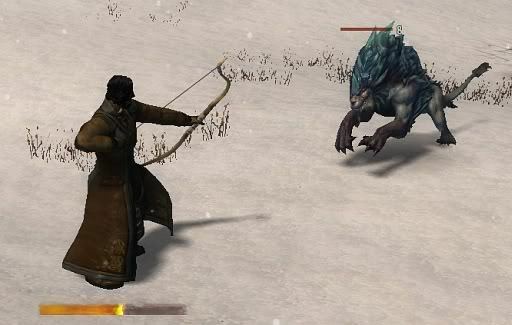 The short bow is the ranged debilitating weapon with bleeding, poison, cripple and daze. The longbow is probably the strongest, in terms of straight damage, of the ranged weapons. It has a good mix of skills with a pretty powerful AoE for its last one. To answer my own question in a previous post, rangers do feel stronger with a long bow than warriors do. I still think a warrior can be pretty effective with a longbow but the ranger will definitely be the better one in a duel. The horn has one skill to call on ravens to attack the enemy and one skill that gives might, fury and swiftness to allies. While the torch has one skill to throw it at the enemy to do some burning damage and the other one is to do an AoE fire attack at nearby enemies. The water weapons are the spear and the harpoon gun. I didn't get to test the spear and was only able to unlock the harpoon gun until the fourth skill. 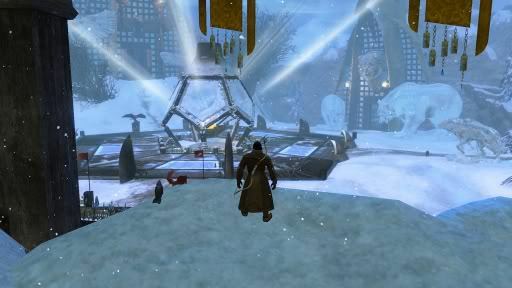 My excuse was the lack of water in the norn area that wasn't frozen. One skill I'd like to mention though is from the harpoon gun. It makes piranhas to go on a feeding frenzy on the enemy. All you can see is a big blotch of blood surrounding the enemy. 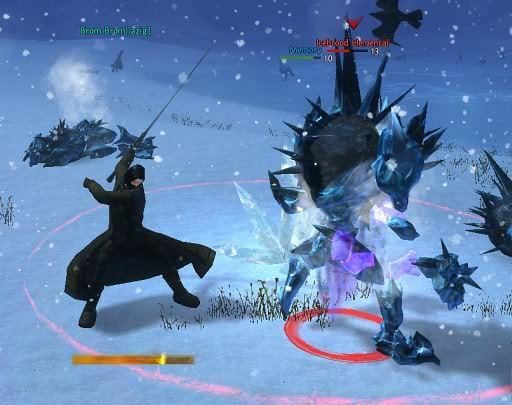 Utility skills is a mix between traps, buffs for the ranger and his pet, buffs to allies and in the first two lines, at least, having also a choice of getting one utility skill to call a beast ally to fight for a short time for you. The healing skills are the usual direct heal, heal over time and one that you can place in the ground to heal yourself and nearby allies. The cool thing is the heals work on both the ranger and the pet. There is a big variety to tame going from ravens to sharks. They are divided into two categories: terrestrial and aquatic ones with some overlapping as some pets are considered amphibious. You can see all the pets you can tame in the pet window so you never have to wonder if a pet is tameable or not. 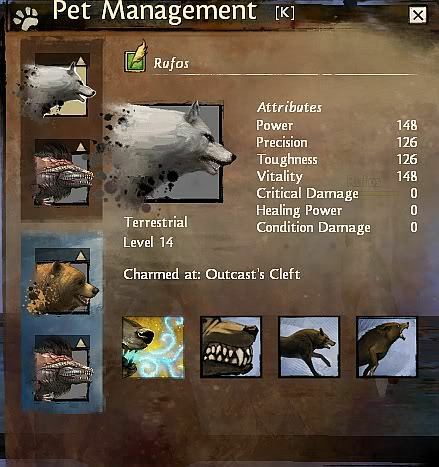 Another cool thing about the pets is that once you tame one of them you always have it available in the pet window. This means that before you enter a fight you can choose a different pet for that specific situation. This is specially handy since different pets have different attributes and skills. Another cool thing about pets it that you can have two pets "ready", let's put it that way, to fight at any time. So just like weapon sets you can switch between those two pets while in the middle of combat. This can be useful if your pet dies in the middle of combat as you can switch to the other one. The only catch is there is a small cooldown to do that so you can't switch willy nilly. And in case anyone is in doubt, yes, you can rename your pets, as many times as you wish in fact. At least for now each pet can have their own individual name too. I am not sure if that part is intentional or if ArenaNet will change it. Pets also level up automatically as you gain levels. I had a lot of fun as a norn. It is definitely a race I want to play now, the third one in my priority list. The first and second one are charr and asura if anyone is curious. Also I think this might be the first game I want to play one of every race due to nothing but to the flavor and lore of each race. 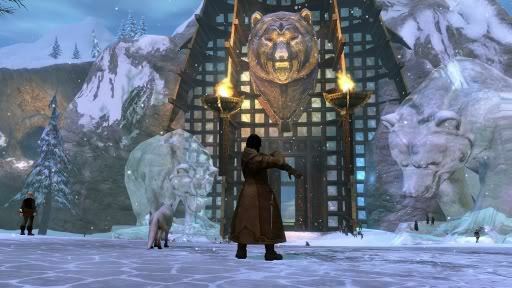 Next article:[GW2] Second beta weekend – The things I forgot, a correction and posts by other interesting people. Oh, my! Since my GW1 character, Malakai, is a human ranger, I'll probably re-make him as a human ranger in GW2. Everything after that will be whatever I'm in the mood to make at the time. Good to know that the ranger seems fun so far! Oh boy, the Ranger, why must you destroy all my plans? I'll write a detailed post about it later, but it just might happen that I'll change my main from the already amazing Elementalist to the Ranger after getting some more play time with it this weekend. I'll just say this: you have not played a ranger until you tried it with the greatsword. Anyway, speaking seriously, I agree with you. The greatsword was one of the most fun weapons with the ranger. Still I like the longbow more. It just felt more... fitting, I guess? So, you can tame all of pets and switch them out all the time, and in a middle of a fight too? That seems cool. I need to try this on the next beta. Not *all* of them. There are specific ones you can tame. Still there is a lot to tame and each one feels unique. For instance, the bear felt quite a sturdy pet, well as sturdy as they go anyway, while the raven while it could give a nice haste buff was pretty squishy. As for switching them in the middle of combat it is like the weapon switching. You can do it but you need to have a second one "equipped" like in the screenshot above. The two top ones are the pets I "equipped" to fight with me out of the water. The bottom ones are the ones that I "equipped" to use underwater. You can tame any animal that says "Juvenile" on their name. Even on areas where all mobs are aggressive (i.e. "red"), you can sometimes find them as non-attackable creatures. There are also some inside cities and camps, such as dogs on the human city of Beetletun. It really changes the gameplay on the ranger when you find out you can switch pets in combat, and more importantly that switching a dead pet for your second one, and when you switch back it will be alive. Makes me feel sorry for other players when I see them rezzing their pets. The time you'd spend reviving a pet can be better spent with steady DPS, and waiting for the pet-switch cooldown to run out.